This trip is a scenic feast - a superb option if you are on a short visit to Coromandel and want to see it all! Departing Coromandel Town after you arrival on the ferry, head over the mountain range to the scenic beauty of the Eastern coastline. After arriving in Whitianga, join the friendly team on the Glass Bottom Boat for an exciting 2 hour scenic express cruise to Cathedral Cove. View the stunning volcanic coastline and highlights such as Shakespeare's Cliff, Cook's Beach Blowhole, Orua Sea Cave and the world famous Cathedral Cove. Bring your swimsuit and take up the opportunity to swim or snorkel in the spectacular clear water of Te Wanganui-A-Hei marine reserve. Coromandel Adventures will be there at the end of your cruise to transport you back to Coromandel Town in time for the afternoon ferry to Auckland. Reservations are essential, minimum numbers apply. Please bring: Jacket, camera, water, sun-protection, lunch/water. This trip is weather dependent. Please contact us to confirm prior to your departure. Please ensure you bring your lunch with you as you may not have time to purchase this during the day. Car seats required for children 0-7yrs, please enquire. 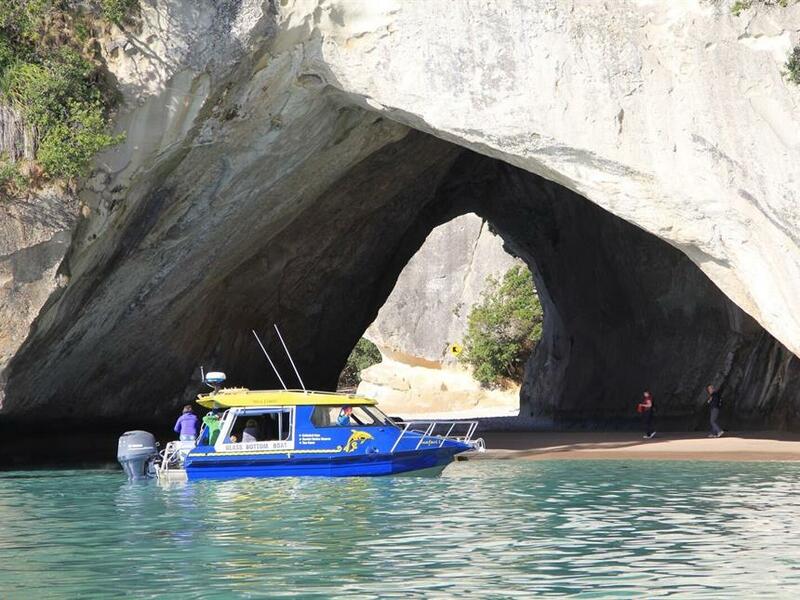 The Cathedral Cove Scenic Explorer operates in conjunction with the 360 Discovery Ferry weekend and Public Holiday schedule. 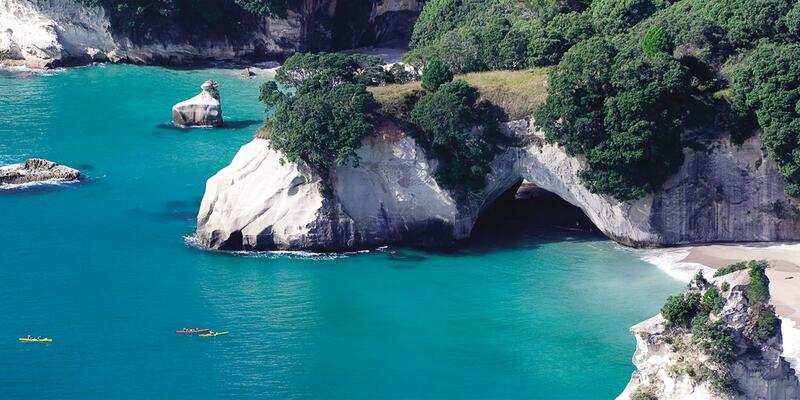 From Auckland to Cathedral Cove and back in just one day has never been this easy!